Over all I had a good experience. Dr. Was attentative and answered all my questions. Doctor was quick to prescribed medicationlike it was candy. I mentioned a small issue that is not harmful and I got prescribed two medications for it. They tried to push their own pharmacy which seem out of place. Doctor kept saying they have certain brands that are cheaper and this pharmacy will deliver meds to me. I opt it. Over all I had a good experience. Dr. Was attentative and answered all my questions. Doctor was quick to prescribed medication like it was candy. I mentioned a small issue thatis not harmful and I got prescribed two medications for it. They tried to push their own pharmacy which seem out of place. Doctor kept saying they have certain brands that are cheaper and this pharmacy will deliver meds to me. I opt it. Karen Hammerman is an attentive and thorough dermatologist. She received her medical degree from SUNY Downstate Medical Center, where she also completed her residency in dermatology. She is Board-certified. Dr. Hammerman provides comprehensive dermatological care, including skin cancer screening, hair removal, hair loss treatment, and eczema and allergic reaction treatments. She also consults patients who have acne problems. Dr. Hammerman has worked with patients with chronic wounds and has conducted research on the topic. She often volunteers her time and helps raise funds for local medical school associations, such as mentoring students interested in dermatology. When not at work, Dr. Hammerman enjoys oil painting, tennis, restaurants, and travel. She is also a member of numerous professional organizations for the dermatology field. The facility was nice and clean. Office staff was nice and professional. Doctor was very quick but knew what she was doing. Was there for literally no more then 20 minutes. It was a pleasure seeing Dr. Hammerman. She addressed my concerns and gave me some great possible solutions for my issues. She was very kind but quick and to the point. I did not wait long at all! The entire staff from the front desk to to doctor is awful. NEVER GO HERE! Terrible bedside manner. They had me and my 1 yr old daughter waiting forever, then when they finally saw my daughter, they rushed through her appointment.The doctor was not showing enough concern towards my 1 year old. She did not do a good job at physically examining her before making an assessment. Dr Hammerman is always pleasant and extremely professional. She listened to my concerns, explained things so I could understand and gave me treatment options. I appreciate her professionalism and would highly recommend her. I had a terrible experience at this drs office. I made the appointment through zocdoc and had verified that my insurance is accepted. Upon arrival the extremely rude and unprofessional staff claimed that my insurance isn't accepted. I advisedthem my insurance was verified prior and accepted. The staff made a phone call and then did confirm my insurance is accepted but then they wanted a higher co-payment than what my insurance requires and had no reason why. Not only was the staff extremely rude they wasted my time. I would not recommend this office to anyone. Dr. Hammerman is a talented doctor who always knows how to treat m an ailment in the most effective and least invasive way. Her bedside manner is wonderful. Totally recommend. Sweet, straight to the point, love it!!! Actual visit with Dr was shorter than the time I sat in the waiting room to get called to a room. However all that I stated I was having issues with was not addressed I felt pushed off and rushed withno interest the Dr didn’t even notice I was pregnant not because you aren’t an OB but you’re still dealing with patients. Apart from the medical assistant sneezing like crazy the Dr claim she was congested she was sniffling all over me nose running boogers in her nose I was just disgusted. Overall I didn’t fell welcomed nor comfortable and I won’t be returning. I did not know the doctor does not attend patients and it’s the PA. PA was rude and completely uninterested. Dr. Hammerman addressed all my concerns, and prescribed accordingly. She is kind, thoughtful, and highly qualified. I would recommend her to anyone! The staff was nice as well! I’ve been seeing dr.Hammerman for years . She’s amazing ?? Doc was excellent knew exactly what she was talking about, office very clean, receptionist and everyone there very nice . Highly recommended. She really helped as much as she could and treated my skin. Very short wait time and they are able to accommodate you very well with all the offices and times they have available; very convenient!! I made an appointment for the wrong test/reason and despite the longer process it would take to complete what I actually wanted Dr. Hammerman and her staff accommodated me and fit it in (with very minimal wait time). She was kind, informative and answered any questions I had. I appreciate her listening to my concerns and the fact that she gives me options on which route to take. She was very thorough and professional. The office staff was terrible. Prescription mess because they would not return calls. The doctor was courteous and efficient. She was attentive to my complaints and concerns, diagnosed my condition after a brief but thorough examination, administered a relatively pain-free injection for my skin condition, and advised a plan for a course of treatment. She was ok , not very friendly , felt rushed. Had more questions but felt like i was bothering her . It was a pleasure to see an office so efficiently run. The staff was congenial. I was seen on time which is a first for me in a long time. Dr. Hammerman and her staff were so attentive and I feltthat my condition was taken seriously and than addressed fully. Everything was explained to me in a concise and respectful manner. I felt at ease, not talked down to or rushed. I would definitely recommend Dr. Hammerman to my friends and relatives. Dr. Hammerman saw me a few minutes after I arrived for my appointment. Very knowledgeable, and a very nice person, to boot. Would highly recommend. Barely waited in the office/room. Staff was helpful. Dr. Hammerman listened to my concerns and treated accordingly. I was late...more than 1/2 hour late. Doctor Hammerman still took me in to take a look at me. She is great, and a very nice girl. She remains to be one of best physicians I have ever met. Dr. Hammerman and her assistant were very professional and took the time to answer my questions. The wait time wasn't bad at all. Will definitely be returning. Didn't make me feel comfortable. Dr. Hammerman is an excellent dermatologist. I highly recommend her! I arrived a few minutes early and the front desk staff were friendly and welcoming. There was a bit of a wait to see the doctor, but I wasn't in a rush, so it was fine. Things went downhill when Imet with the PA, who didn't even bother to look up from her chart to greet me or even to ask questions. Dr. Hammerman came in a few minutes later and she was even more cold and clinical- there was no warmth to her face. As a first time patient, you'd expect to feel a bit welcomed.She did a cursory exam , and sent me on my way. Would never used thisbpractice again. I'll stick to Spring Street Dermatology, even if it's a bit of a trek to lower Manhattan. Showed up early, but was seen immediately. Most of the paperwork was done online when I made the appointment, so checking in for first time was a breeze. Very friendly, helpful staff. Doctor was professional, and quick, without making me feel rushed. Love the service I was in and out and the doctor took enough time to explain everything she needed too. The only con I have to say is leaving the credit card on file and it being manditory. I've been tooher doctors office and work for one and I always seen that it was optional not mandatory. They should really let patients decided if they want to keep their credit card on file for 90 days. Dr. Hammerman was professional and very nice throughout the whole appointment. 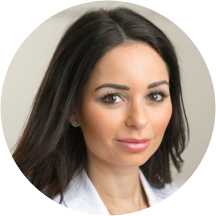 My family and I all see her for our dermatology needs, she is skilled and very knowledgeable in her area of work. I highly recommend her. I absolutely love her been going to her for years , she is amazing when it comes to skin and she understands you and she doesn't push any purchases on you which is a plus in my book . She is caring and understanding and works with you . I was very pleased. Dr. Hammerman was very professional and personable. I did not feel rushed. She addressed all my concerns. The office staff was also very professional. Everyone was,friendly and professional. The receptionist and medical assistant were lovely. Dr. Hammerman was,knowledgeable about what I was,concerned about. Perfect visit.